Forty-nine of the 50 U.S. states and the District of Columbia allow legal “consumer” fireworks for the Fourth of July. The definition of consumer fireworks varies from state to state, but can include everything from cone fountains to roman candles to multiple tube “cake” devices to sparklers. 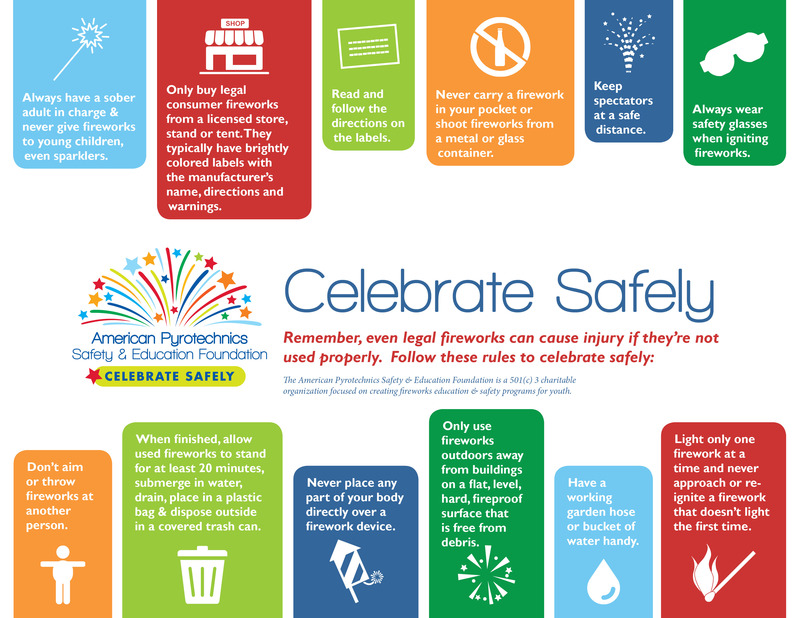 Before using fireworks, find out what’s legal in your state by checking the state law summary for your state by clicking here.